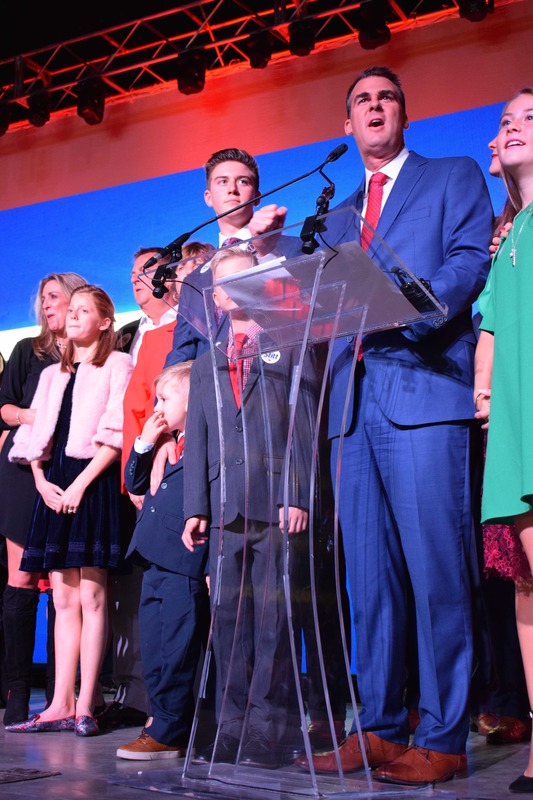 Republican newcomer Kevin Stitt defeated his Democratic and Libertarian opponents,Tuesday evening to become Oklahoma’s next governor. With all the state’s 1951 precincts reporting, Stitt captured 643,987 votes, or 54.33 percent. 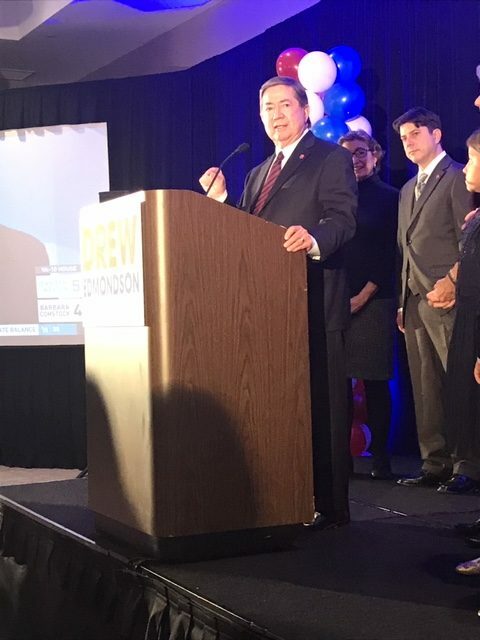 Former attorney general Drew Edmondson earned 500,430 votes or 42.22 percent and Libertarian Chris Powell had 3.44 percent or 40,768 votes. Stitt is the founder of Gateway Mortgage Group and has no prior political experience. He said he believes his lack of experience was good and considers himself an outsider to politics. Stitt said career politicians have caused problems for the state. Stitt captured more votes than any gubernatorial candidate in Oklahoma history. Governor Mary Fallin, whose term expires in January, congratulated Stitt on his win. In addition to the governor’s race, voters reelected three of the state’s five Republican congressman, returning Markwayne Mullin, a in the state’s second congressional district, Frank Lucas, R-in the third district and Tom Cole, in the fourth district. Republican Kevin Hern defeated his Democratic opponent, Tom Gilpin in the race for the first congressional district. Tuesday’s biggest upset belonged to Democrat Kendra Horn, who knocked off incumbent Republican Steve Russell, to capture the seat in the fifth congressional district. Horn is the first Democrat to hold the seat in more than four decades. Horn’s campaign touched on healthcare and education. Issues, Oklahoma City Community College political science professor Dana Glencross said, were on the top of voters’ minds. State voters also shot down four of the five proposed constitutional amendments, approving only state question 794, a victims rights proposal. More than 1.185 million Oklahomans voted Tuesday.